For as long as I can remember, I have found it much easier to be kinder to others than to myself. That old saying, “You can’t love someone until you love yourself”, used to confound me, because while I was my own worst enemy, I often was everyone else’s best friend. Then, there is the classic twist on this saying that goes, “No-one will love you until you love yourself”. Again, I was baffled by this statement, because even when I wallowed in self-loathing, I knew I had family and friends who loved me. So, I believed that somehow these two schools of thought did not apply to me. Then, my world imploded three years ago, and as I began to recover and heal from the depression and anxiety, I also began to change my mind about the notion of self-kindness. Suddenly, being kind to myself mattered as if my life depended on it. Because it did. While I was a master at offering unconditional love and acceptance to others, I could not fully embrace them myself. So, more often than not, I felt like a martyr when I could not have my needs met by others or when I accepted the scraps from someone’s emotional table, in the hopes that a feast would be forthcoming, when it never was. Slowly, I began to realize that kindness, like charity, really does begin at home. 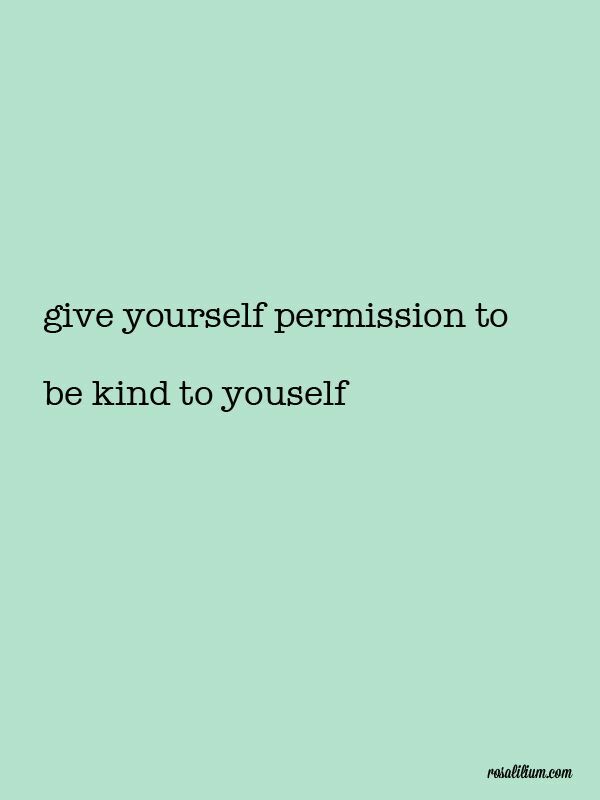 Much like being kind to others does not require extraordinary feats, expensive gestures, or exhaustive amounts of time, being kind to yourself doesn’t, either. What it does require is the self-awareness, discipline, and desire to make it a daily intentional practice to show yourself kindness and compassion. The key word in the previous sentence is ‘practice’, as some days are easier than others, but every day affords you with the chance to be kind to yourself in small ways, big ways, and every way in between. The choice is yours. Doing a mental triage on my negative self-talk, discarding the thoughts not based in truth, and speaking to myself the way I would to a loved one when processing the thoughts that remain. Continuing to practice meditation. As challenging as it is to quiet the chatter in my head, I always come away from meditation feeling better than when I entered into it. Keeping a daily gratitude journal. It’s tough to be negative when I focus on and write about the people, places, and things for which I am grateful in my life. Having a monthly massage. My mentor recommended a wonderful massage therapist who has a holistic and spiritual approach to her practice, and this is truly a healing experience for me. Surrounding myself with people who have my best interests at heart and who are present in my life to help, not hurt, me. These are the people who will call me out when needed and steady me when I begin to stumble, and they inspire and motivate me to be the best version of myself. Exercising. The movement of my body, especially when I am trail running, clears my mind and strengthens me physically and emotionally. Spending time by myself. As outgoing as I am, I need time to regroup and recharge, and being alone, especially, in the comfort of my own home allows me to do just that. There are countless ways to be kind to yourself, so, create a regular practice that resonates with you. When you are kind to yourself, you will find that the world around you seems kinder and gentler, because it is. Previous Post: Having a Bad Day? Here’s the Change you Need. Next Post: A Rescue Dog Changed This Autistic Boy’s Life Forever. Thanks for the compliment, and I am so happy that you liked it! I hope that you do something nice for yourself to end the day and start the week on a great note. You just made my Monday better and brighter, Sharon, so, I thank you in return! This is so true and a key element, I believe, in finding joy. The second great commandment is to love others as you love yourself. How well are we at loving ourselves? Thanks for sharing such great points and for reblogging this, as I appreciate both!